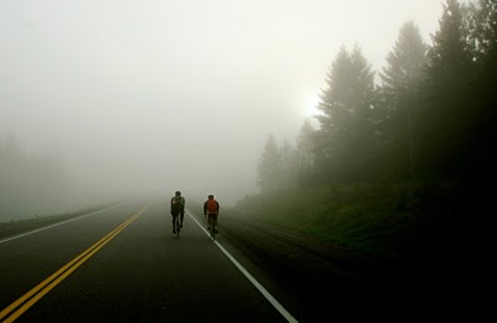 I read Chris Jeggo’s blog article on lighting with much interest, and with the suspicion that I might have prompted the writing of it, having made it clear earlier the same day that I expected all riders on the Midweek Wayfarers ride to use lights on my ride that day; it was extremely foggy and murky. Anyway, it is amazing how the same visual evidence can lead two people to come up with very different conclusions! 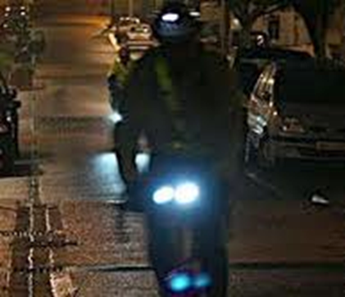 Having followed a cyclist down the Vokes road who had no rear lights on at all despite the truly poor visibility, and then also seen how difficult it was to see some of our riders who had rear lights, but of poor intensity (I am sure I fell into that latter category!) my own conclusion was that it was sensible to use only lights with sufficient brightness. I then considered Chris’ views about these being distracting to other road users. I am sure that they would need to be ridiculously bright to be distracting to car drivers, which means that they are suitable for solo riders. But what about group riding, which is what we do? I tend to be at the front of the group most of the time (not my superior pace, just that I happen to be a leader) so would be interested in views from further back in the peleton, but my limited experience does not support the view that the danger of a bright light to a rider behind outweighs the reduced danger through being more visible to other road users; we must distinguish between “danger”, which we must avoid, and “mild inconvenience”. There is then the aspect of “which do you see first, the cyclist or his lamp?” My own conclusion is that, in poor visibility, if you see the cyclist first, then that is probably too late for the motorist behind, and it just means that the cyclist’s light is insufficiently bright. So, having reached those conclusions, I am hoping that Santa will deliver nice bright lights, possibly from the east, but certainly from the CTC shop/Wiggle. 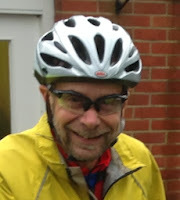 I mentioned at the start about drawing different conclusions from the same evidence base, confirmed by the fact that my own conclusion from knowing that a main danger to a cyclist’s life is a head injury is that wearing a helmet is sensible; I know that they may sometimes be insufficient and therefore ineffective, but I would rather wear one than not, just to improve the odds. Wonder whether that comment will lead to another strand developing on this blog topic!